Paul Kleiman goes a little deeper with the paradigmatic implications of the crystal, Ian Wilkie sends a link to a volume of Comedy Studies responding to issues of documentation – http://www.tandfonline.com/toc/rcos20/7/1 – and maxinebadger2013 calls on the spirits of Thelma and Louise. Last week I posted a(n incomplete) list of the reasons why artists (and also artists in academia) might document their work. Part of the complexity of the issue of documentation is that the word documentation itself reveals a number of assumptions about practice-as-research as a method in the academy. sets up a simplistic otherness between the art work and the documents that somehow trace aspects of that work. In other words, the term documentation forces the art work to contain the heart and soul of the research because everything else is pointing at it. For some artist-researchers this might seem like a positive thing. can corral us into absorbing – or buying into – economies of knowledge in which the (persisting) value of our work is located in recognisable and traditional objects of knowledge (that in certain circumstances can be bought and sold). I suspect that we have defaulted to the word documentation due to its availability and accessibility (both very good reasons), and also because in the early days of practice-as-research there was a tendency for projects to involve making an (art)work, documenting it, then writing about it. It was all rather tidy, at least on the surface. [Crystallization] combines symmetry and substance with an infinite variety of shapes, substances, transmutations, multidimensionalities, and angles of approach. … Crystallization provides us with a deepened, complex, thoroughly partial, understanding of the topic. Paradoxically, we know more and doubt what we know. The implications for practice-as-research are clear. Each research project is a singular entity with many surfaces. These surfaces – or materials, experiences, activities, events, etc. – enable the reader-viewer-audience to access and apprehend different perspectives or understandings of the same singular entity. In such a model, documentation is no longer other to performance, and writing is not simply a description of a performance that happened in the past. They are enfolded into the same experience and understanding. In many respects, this crystal model or metaphor demands that artist-researchers step back enough from their practices so that it is visible (or able to be conceived of) as singular. At the same time, it makes multiplicity possible – even essential – in our practices and work. Jones, A., & Heathfield, A. (2012). Perform, Repeat, Record. London: Intellect Books. Ledger, A., Ellis, S., & Wright, F. (2011). 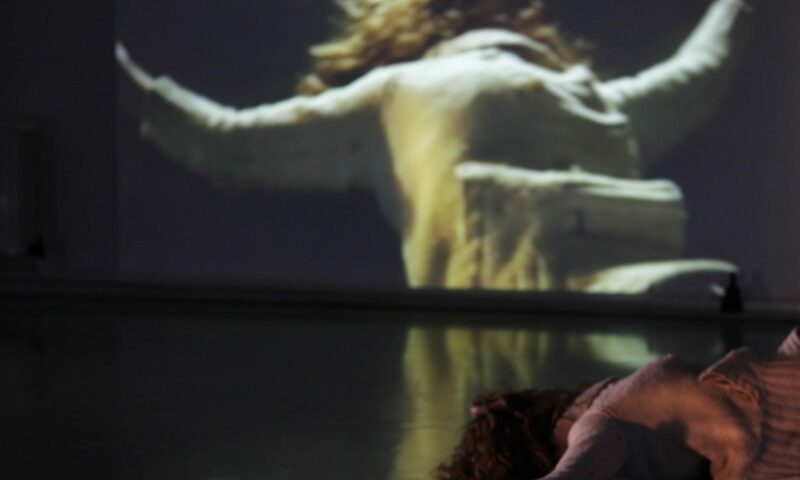 The Question of Documentation: Creative Strategies in Performance Research. In B. Kershaw & H. Nicholson (Eds. ), Research methods in theatre and performance (pp. 162–184). Edinburgh: Edinburgh University Press. Richardson, L. (1994). Writing: A method of inquiry. In N.K. Denzin & Y.S. Lincoln (Eds.) Handbook of qualitative research (pp.516–529). Thousand Oaks, CA: Sage Publications. Ellingson, Laura L. (2009). Engaging Crystallization in Qualitative Research: An Introduction. Thousand Oaks, CA: Sage Publications. Yesterday I spent a few hours with the postgraduate cohort at C-DaRE (Centre for Dance Research) at Coventry University. They were in the middle of a couple of days working through ideas about research methods and my job was to lead some conversations about documentation in relation to practice-as-research. to stimulate memory of the performance event (Phelan, 1993). Phelan, Peggy. 1993. Unmarked. London: Routledge. In 2013 I wrote and presented a paper at Roehampton Dance called “Giving up on practice-as-research”. I thought some of the ideas might be interesting, provocative or even just plain useful. A lot of the latter part of the paper (which is where it gets a little more interesting) came out of reading Issue 14 of TEXT. One of the key questions in traditional practice-as-research is what it is that is known as a consequence of doing it. But what if this is the wrong problem? In other words, if artistic research is stripped of the assumption that we ought to be addressing questions, then perhaps we are freed from the container of knowledge-building and can get back to the work of doing what it is that artists do. What if, in the context of artists developing and making work within the academy, we were to abandon (research) questions altogether as a flawed idea and inappropriate practice? I find this hard to fathom or imagine. I’ve long used processes of questioning as a means not only to bolster my standing, but also as a means of delaying taking a stance on understanding. How could research be research if it didn’t involve research questions? What kinds of outcomes might be developed if they are not the result of some kind of questioning? I’m interested in the Journal for Artistic Research (edited by Michael Schwab out of Amsterdam, and first published in 2011) for a number of reasons but mostly because the materials in it are bound by methodological principles, and not by discipline. This offers rich potential for surprising exchanges, and points of meeting and departure. artistic research is doubly defined: insofar as it is research, it enhances knowledge and understanding; because it is artistic, however, the mode of presentation is essential. This definition excludes works of art that share modes of presentation with artistic research, but do not enhance understanding. It also excludes research that is not dependant on an artistic mode of presentation. I have my doubts about this definition: who decides what an artistic mode of presentation is? When is understanding not enhanced (and again, who decides?)? But I like the ethos of the journal that implies that the way research is presented is essential to how it is understood, and I really like the “for” in the title: it suggests that the journal’s function is to serve artistic research.